It will be at least three months (that’s 90 days) before the Army corp of Engineers will be able to come in and do and assessment of the levee they blew up to save the town of Cairo, IL back at the beginning of May, 2o11. This means at least until August before anything will be done about the people in Southeast Missouri. We will be well into fall. The farmer’s crops are all but lost for this year. We already know that 130,000 plus acres of farmland has been lost in the region, not to mention the Village of Pinhook, Missouri was destroyed in the breaching of the Birds Point Levee. Also gone were the small communities of Dorena, Windyville, and Wolf Island Missouri. The U.S. Army Corps of Engineers sent U.S. Rep. Jo Ann Emerson (R) a letter explaining a timeline for effort to rehabilitate the Birds Point – New Madrid Floodway that was flooded after the corps intentionally breached a levee on May 2. The letter is in response to an inquiry from Emerson and Missouri’s two U.S. 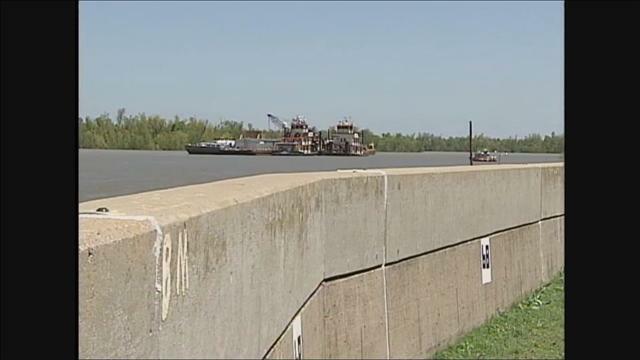 Senators asking for levees to be rebuilt and the floodway restored. “The sooner the Corps can start on levee restoration, the quicker people in Southern Missouri can get back to their homes and land, assess the damage there, go back to work, and put their lives back in order. This has been a deeply painful experience for thousands of people in the Eighth Congressional District, and I look upon the Corps’ commitment as the first bit of good news we’ve gotten in quite some time,” Emerson said in a statement.. The Army Corp of Engineers have not committed to rebuilding the levee that flooded a large part of Southeast Missouri at this point. The flooding has continued south to Louisiana. Over the weekend Corp has opened up levees in Louisiana. It could be awhile before we see anything from them in restoring the levees in Missouri. 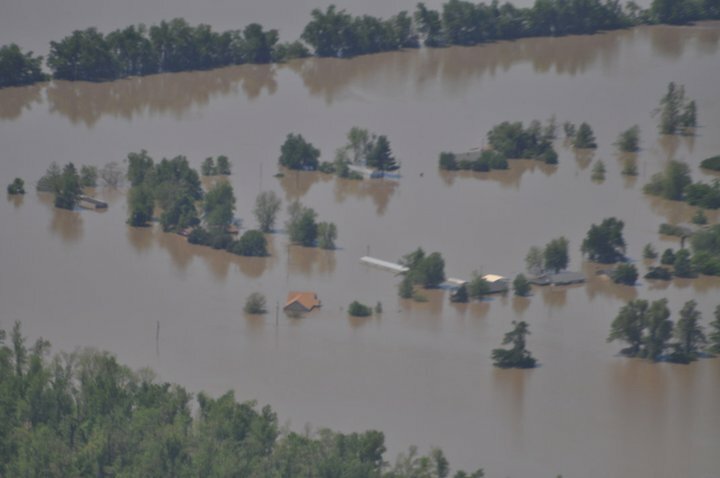 The flooding not only affected farmland in Southeast Missouri, but also displaced hundreds of families, including the predominantly African American community of Pinhook, Missouri. WASHINGTON, May 11 – Agriculture Secretary Tom Vilsack sent a letter to Army Secretary John McHugh Wednesday encouraging him to rebuild the Birds Point-New Madrid levee in Missouri as soon as conditions allow. The levee was intentionally broken in three locations to open a 30-mile-long floodway to alleviate pressure on the swollen Mississippi River. As a result, approximately 135,000 acres of cropland was flooded, crippling the livelihoods of hundreds of farm families. As yet, the U.S. Army Corps of Engineers has not committed to rebuilding the levee once the flood waters recede. Downstream, the Mighty Mississippi crested this week at its highest level at both Memphis, Tenn., and Helena, Ark., since 1937 and is forecast to reach record heights later this week in Louisiana and Mississippi, submerging several hundred thousand more acres of farmland on top of the estimated 1 million acres in Arkansas and 500,000 acres in Tennessee already inundated. Farmers along the river and its tributaries predict it’ll be sometime in June before the water recedes and their fields are repaired, limiting their planting options. “There’s still a lot of land flooded in these river bottom areas on both sides of the levee and it’s a real mess, quite a bit of damage,” said Ted Glaub, who manages farmland from the Missouri Bootheel to Louisiana. “Wherever the current comes in, it’s going to take all of your topsoil away and that’s going to create totally new soils,” he explained. About 80 miles to the west, Perry Galloway, who farms about 7,000 acres of higher ground near Arkansas’ White River, feels like he’s already done an entire growing season’s worth of work, but it’s only mid-May. Galloway planted his corn at the end of March and was ready to move on to rice when 14 inches of rain sidelined him for four weeks. He got his cotton planted on time but was only able to seed 125 acres of rice. The rest of his land will go to soybeans. “There are people in the floodplain who had 100% of their crops planted in late March-early April and they lost every bit of it – thousands of acres. They’ll have to replant every acre,” Galloway said. Some of his neighbors were unable to empty their grain bins before the river encircled them. One producer lost 175,000 bushels of old-crop rice valued at $900,000. Originally this blog was to bring about to light the community of Pinhook Missouri when the Army Corp of Engineer blasted the Birds Point levee in New Madrid. The media only talked about the farmland that was being destroyed. In its path was a community of people who have lived there from many years, as long as 60 years or more. No one was talking about this community of Pinhook Missouri. When I was a child, there were more than 200 families who lived in this beautiful and bountiful place. We have survived many years and never once have we dealt with flood waters of this magnitude. To watch the destruction of our homes is almost more than a heart can bear. As I continued to watch the news and the water continue to move south, I realized that the story had become bigger than just one community so decided to make it bigger story. Regardless of whether anyone reads it or not, it’s therapeutic for me. I still want the Army Corp of Engineers to complete the task of rebuilding the Birds Point Levee to get the Community of Pinhook back on their feet and restore what is a wonderful place for the people who live there. Army Corp of Engineers Blowing the Levee – Why?